Etching cream is so wonderful and easy to work with. 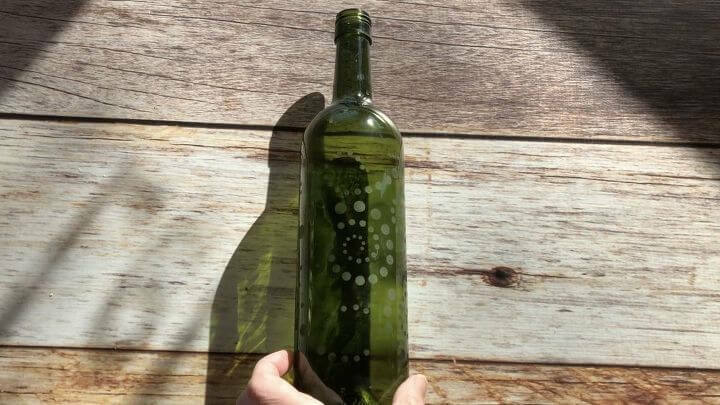 I took a recycled wine bottle, added a little etching cream, and turned it into a decorative bottle that we’ll use again and again. 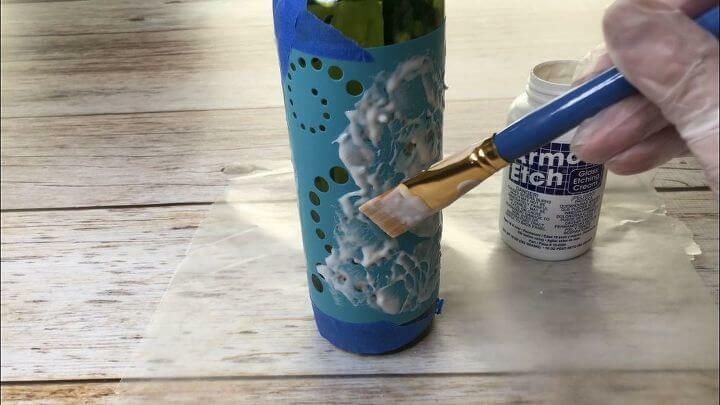 Start by putting yourself adhesive stencil onto your bottle. Mine went 3/4 of the way around. On the part that remained I placed self-adhesive stencil letters and I taped off the edges with painters tape. I put on rubber gloves to protect my hands and I coated the “water” side with the etching cream. Be sure to put it on thick. 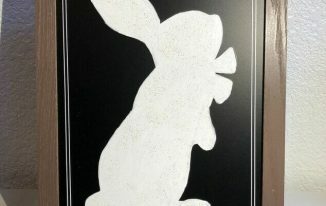 I then coated the other stencil design with the etching cream. 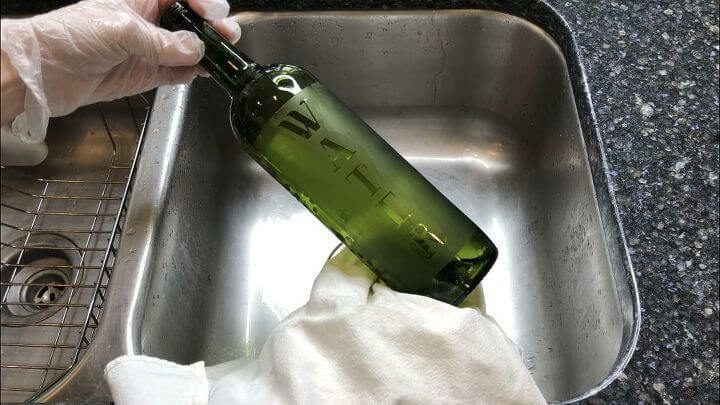 I let it set for 10 minutes as per the bottle’s instructions. I rinsed off the etching cream rubbing at it lightly under the faucet. I then carefully peeled up the stencils and washed it again. 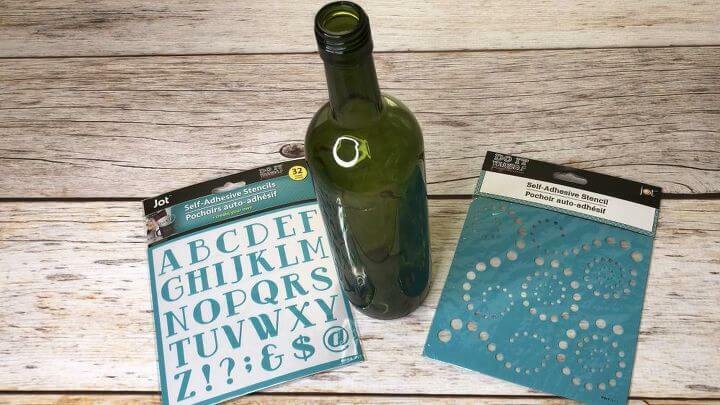 You can rinse off your stencils and place them back in their container as many of them are re-usable. I dried it and you can see the design on both sides. I love how this turned out and am excited for all we can use it for. Not only for serving ourselves and guest water, but also in our plants as self watering bottle. 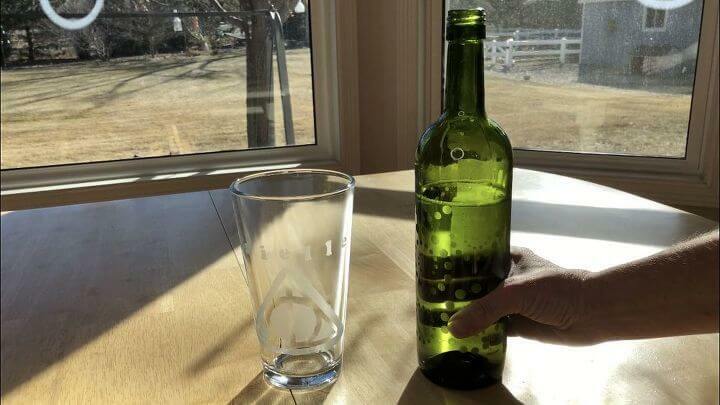 The glass is truly etched, so it’s safe to put in the dishwasher too! I also think this would make a great gift idea! 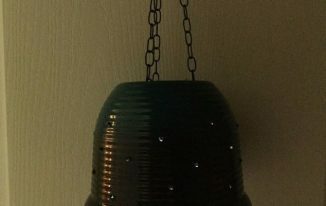 Click here to see my video with Hometalk! 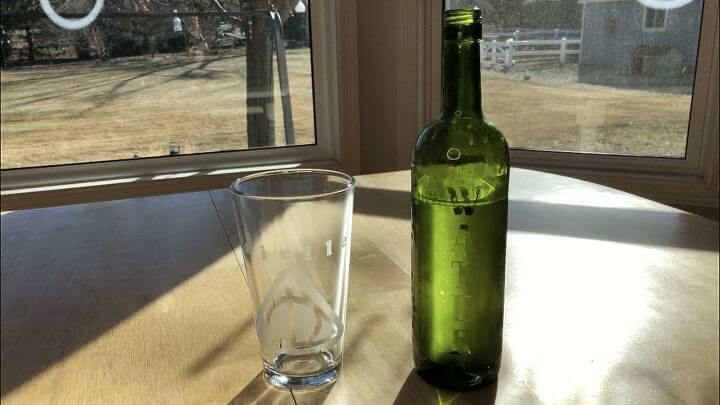 Very pretty, I’ve been wanting to try glass etching, but I haven’t yet. Thanks for sharing at Merry Monday, see you next week! Thank you Jenny and I hope you’ll give it a try. It’s so easy and addicting. 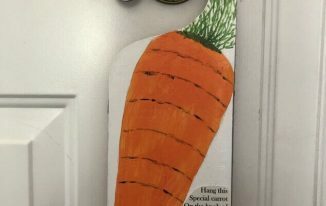 Another crafty thing to make … you are a crafty lady no question. I often look but never really enjoy doing more than the odd one, as if , once mastered and gift made the interest has flown. But I appreciate yours and have spotted a couple I may even try. Thanks for sharing your skills. Have a lovely week. Thank you so much Ellen and I’m thrilled you might try a couple. I totally understand what you are saying and I too find posts that I may not feel are up my alley – but I totally appreciate and admire seeing what people out there do and often that inspires me. Thank you Michele and I’m so excited you want to give this a try. It is a ton of fun and thanks for stopping by. So easy and so fun! …at least you make it looks easy! Thanks for sharing at Celebrate Your Story! Thank you so much Chloe, and thanks for the great party. Thank you so much Carol and I love where you are going with that idea! Thanks for stopping by. Chas, this looks great! You’re a smart cookie. 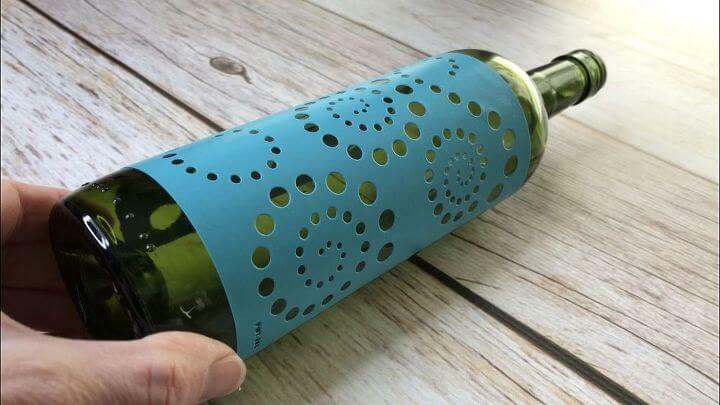 What a fun idea for your own home or for a gift! 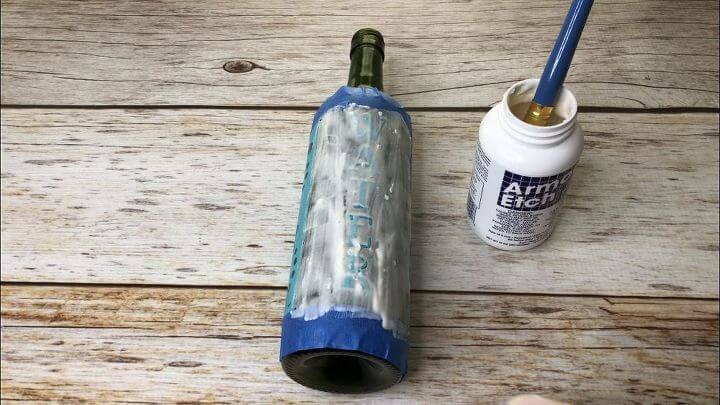 Such a perfect transformation and re-purpose. My faves practical and pretty! Featuring when my link party opens tonight. I love the results you got here, Chas! 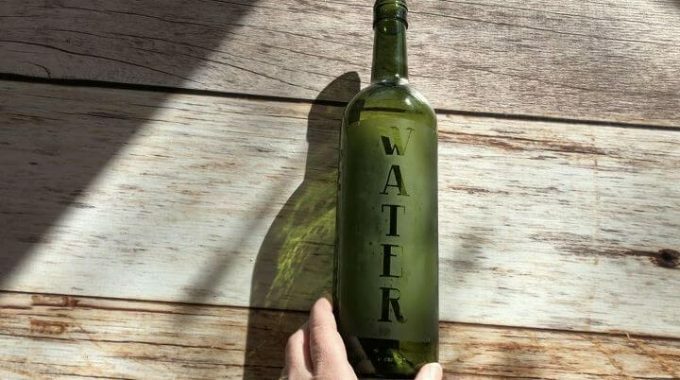 Your bottles are beautiful, and what a great sustainable craft. Shared on the Hearth and Soul Facebook page. Thank you for sharing, and for being a part of the Hearth and Soul Link Party. I hope you are having a lovely week! Thank you so much April, I’m so glad you like it. When I made it I knew we’d use it but I have actually used it in more ways than I thought. Thank you so much for sharing on your Facebook page. Love that blackberry apple cake you posted recently! Happy Valentine’s Day! 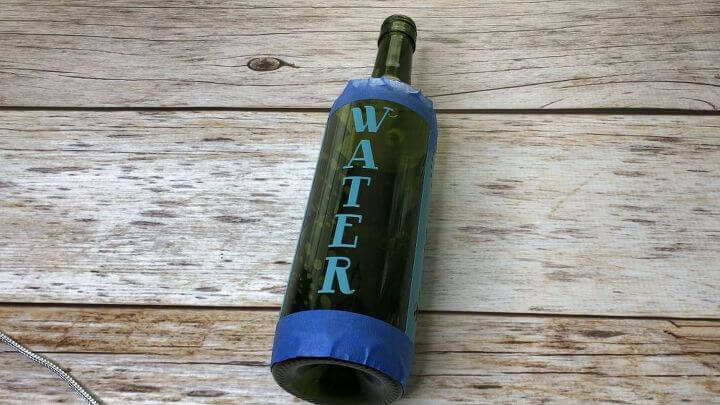 Love the water bottle idea and want to try it. 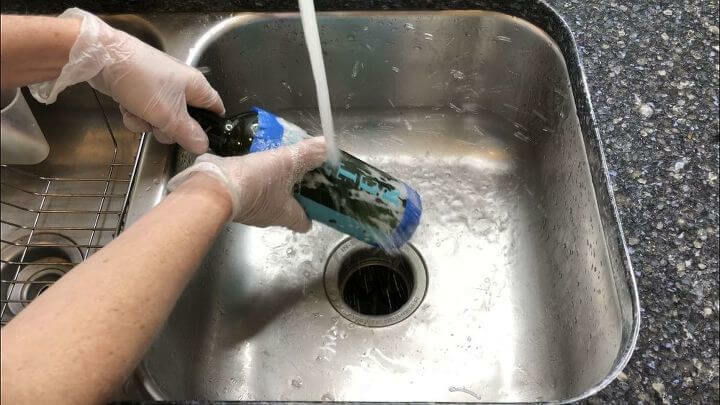 I wondered if the etching cream damaged your sink and was safe to wash down the drain. Thank you Denise and I hope you have as much fun as I do etching things.